The first Saturday in May is the Kentucky Derby (May 4 this year). TheRoomDad is from Louisville, and the Derby is near and dear to his heart. Since meeting TheRoomDad many years ago, we always celebrate Derby either in Louisville at Churchill Downs or at our house. 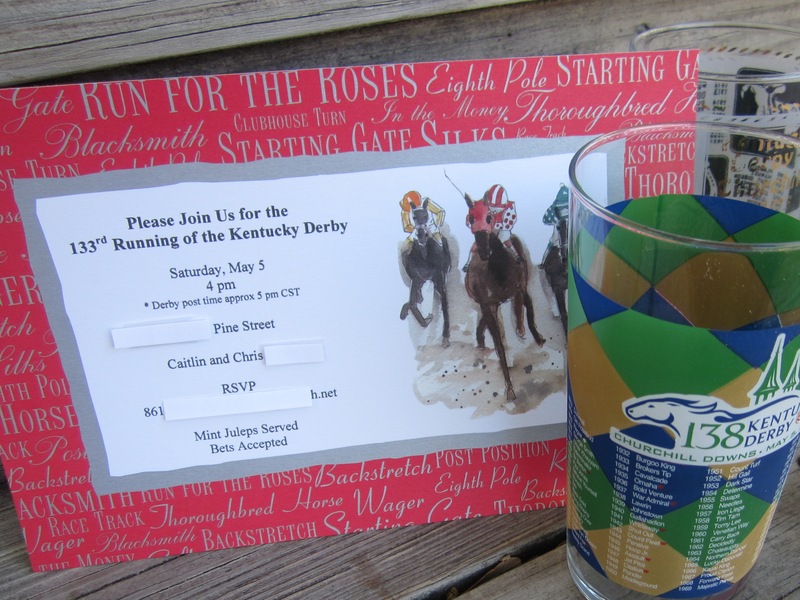 Throwing a Kentucky Derby party is so fun. 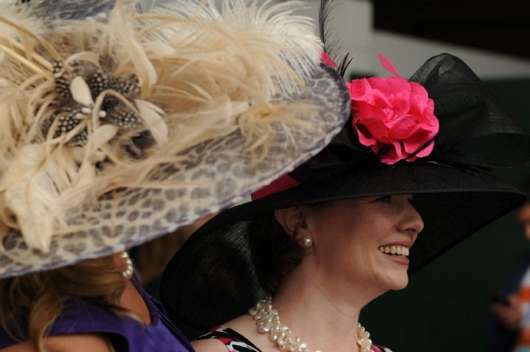 It gives the ladies an excuse to wear a big hat; it demands cocktails and good party food, and there is a party game built right in– betting! There are great Derby invitations available. I found my invitation at FineStationery.com. Indicate on the invitation if bets will be accepted, if hats are encouraged (I missed this key detail on my invite! ), and if juleps will be served. I am inserting a public service announcement here. My invitation says RSVP. That means ALL invited guests are supposed to let me know if they are coming or not. It is not a suggestion. If I put RSVP on the invitation, I want to hear from you. Because of the way I set up the betting pool, I needed names of all of my party guests ahead of time. Time and effort go into throwing a party, and it is a common courtesy to let the host know if you will/will not attend if it states RSVP on the invitation. I love big hats. It is hard to pull off a hat, but anything goes for Derby. There is a store in Louisville that will design a hat for you via e-mail. My mother-in-law gave me a gift certificate to design a hat at Dee’s Crafts a few years back. It was the best Christmas gift I received that year. I found this program called Racehorse by Nags Head Software. The current price is about $50. Once you buy the program, you can update every year for about $15. It figures out odds and payouts based on the money you collect at your party. I have not used the software in a few years. At the time I used it, the program was a little hinky. I e-mailed the contact, and they were very helpful. You can download the horses the morning of the race, and the program will pull the horse names into your betting pool. The program allows you to place complicated bets like Trifectas. I stuck with win, place, or show at our party. It is helpful to print a list of horses and jockeys to share with party guests. Many of our guests actually came prepared with their horses selected. My in-laws give us a set of 2 or 4 commemorative julep glasses every year. My grandparents attended the Derby in the late 60s and early 70s, and my grandmother gave me her julep glass collection. Between the two, we own about 100 mint julep glasses. I served all of our cocktails at the party in the julep glass. I have seen the official Churchill Down Julep Glasses online and at party stores if you want to go all out. 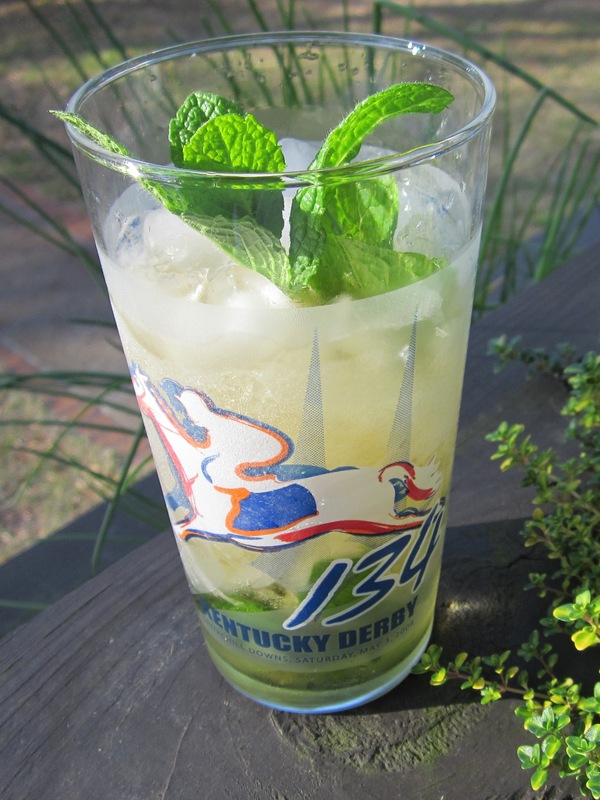 I use a pretty traditional mint julep recipe. A true julep is bourbon, mint, crushed ice, and not much else. These drinks are not for the weak. Click Mint Juleps and Sausage Won Ton Tartlets for all of the recipes. Aside from a handful of my favorite dips, I also served Sausage Won Ton Tartlets. The filling is stuffed into a crispy won ton wrapper cup. 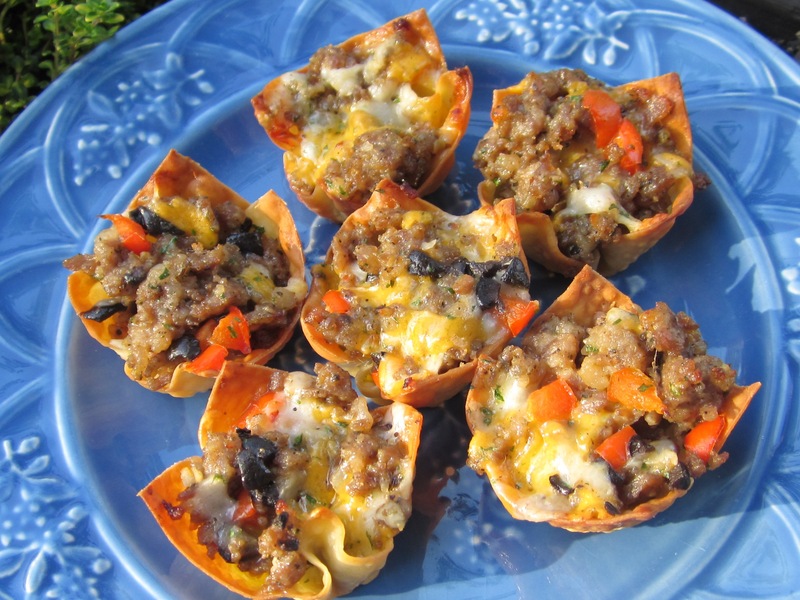 There are many delicious fillings you can use in the won ton cups. I used a sausage, ranch dressing, red bell pepper combination. Click Mint Juleps and Sausage Won Ton Tartlets for all of the recipes. Anyone else planning a fun spring party? I am itching to host something new.